Welcome to the Futon Blog. If you're after Futon News, Futon Reviews or Futon Advice, you're in the right place! Let us introduce ourselves..... We are all independent Futon retailers who want to create a positive experience for our customers when they purchase and use one of our futon sofabeds or futon mattresses. We also want to provide a format to post news on new product developments and offer advice on product suitability. 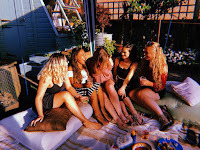 Why not take 5 mins to view our video clip on Tatami Mats, we offer a range of traditional hard compressed rice straw tatami and the new softer feel tatami using an inner core of cocoloc (coconut hair bound with natural latex). 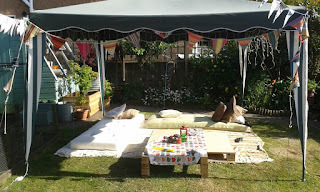 Futons for outdoor seating.....in the British sunshine! 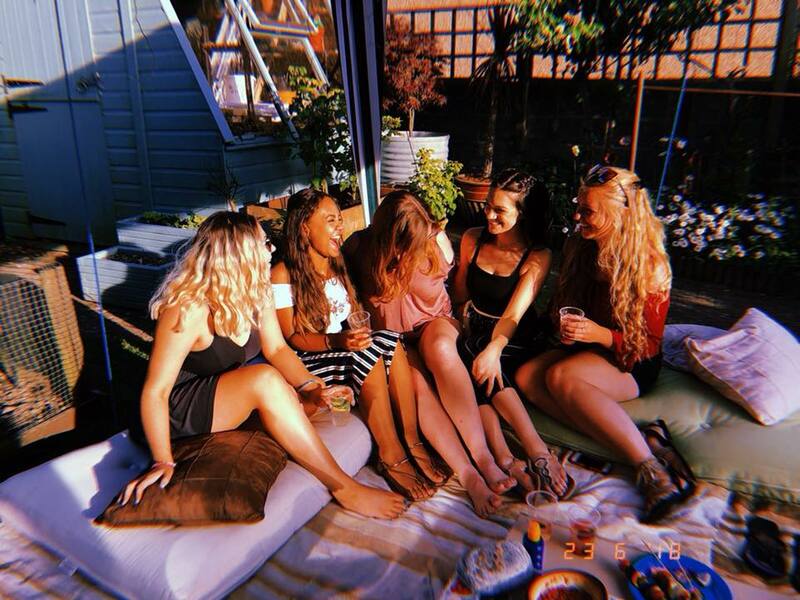 Well, its not often we can write anything about the sunshine in the UK but May and June have been glorious and I'm sure many people, like us, have been heading outdoors to eat, chat and spend time with friends and family. We've taken this opportunity to set up a cosy seating area originally for a 21st Birthday party but it has since 'stayed put' in the garden for us all to enjoy. Futon Sofa beds for Air BnB? 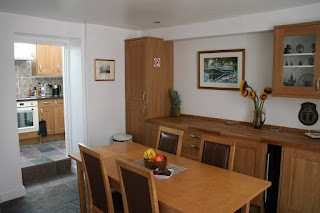 One of the things we really enjoy about futon retailing is meeting our customers and viewing their lovely homes when delivering their new purchase. This week we have delivered another futon sofa bed to an Air BnB property, if you've not tried a holiday home through Air BnB we would strongly recommend it, having rented them both here in the UK and also other parts of Europe and always found it a great experience. One of the questions we regularly get asked by our customers is "do you have a traditional futon bed roll that can be used everyday?" 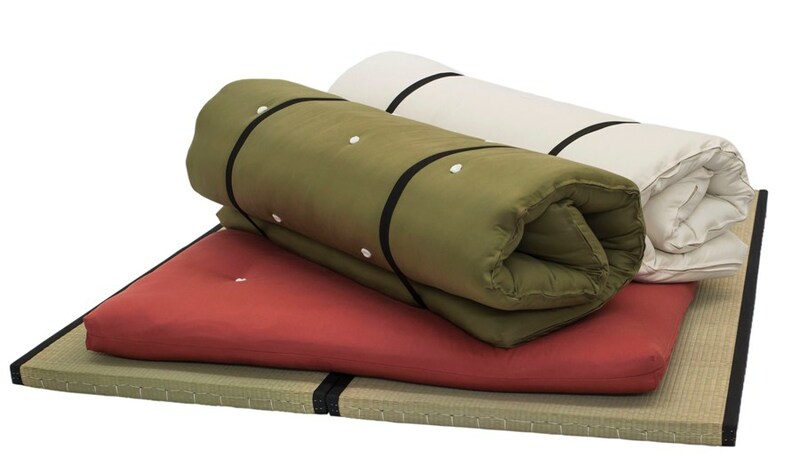 Well, our popular Monk Futon has been used in this way by some customers over the last 10 years or so but now we've also developed our Nomad Futon Bed Roll, a traditional style roll up futon mattress with a firm feel. 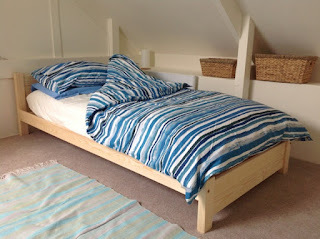 The Nomad is based around a central core of Cocoloc, this is a natural filling consisting of coconut fibres that are given structure and elasticity by way of a natural latex (from rubberwood trees) spray to bond them together, this provides a firm but flexible and well ventilated basis for the bed roll. We then offer a choice of surrounding fillings, two different grades of pure wools combined with either traditional futon felt for a firm feel or a warm and softer feel of fine wool, blended with a small amount of polyester to bond the wool fibres together. You can use the Nomad unrolled directly on to your floor and then simply roll it up during the day and secure with the two Velcro fasten straps that come with it. You can find full details of the Nomad by visiting our website following the link below. Low level Osaka Beds find a home in a Cornish loft. 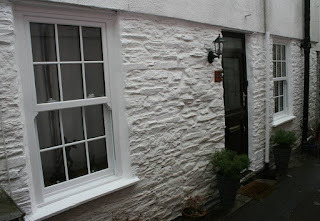 We were recently lucky enough to visit a lovely fully refurbished cottage down in Cornwall as it's owners chose a futon sofa bed for the guest room and our popular Osaka Low Beds with pocket sprung futon mattresses for the bedrooms in the attic, all made down here in the South West of England. 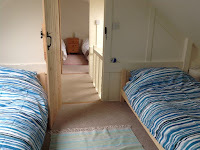 The Osaka beds are just perfect for a loft location as their low height ensures they fit neatly into the sloping ceilings of the converted attic and, naturally, they arrive nicely flat-packed ensuring that there are no issues with access to the rooms. 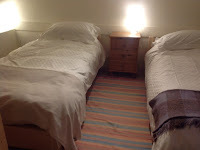 Our customers chose our Pocket FutoFlex futon mattresses for these beds which provide good support with a medium firmness through the fillings of lambswool, woolfelt and a mini pocket spring unit in the middle of the futon, great comfort for them and their guests. If you want to know more about the flexibility of futon beds for rooms where space is at a premium follow the link to our Futon Beds section on our website. Old futons never give up! The futon base pictured here is a Boston, manufactured in rubberwood, that we sold to our customer back in 1997 / 98, almost 20 years ago! Back in those days the quality of rubberwood frames was exceptional (sadly not so today!) with each component part being a solid cut of timber, not a fingerjoint in sight! 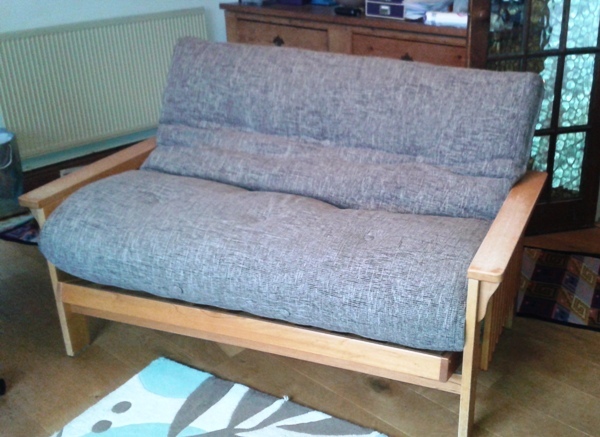 It's a testament to the quality of materials, construction and the care our customer has taken of this futon that, after all this time, it is still alive and kicking in their living room, all we were doing was replacing the futon mattress. I guess this is a good example of why it pays to spend a little more to move onwards and upwards from the cheap 'catalogue' type futons and go for something from a specialist store....like us of course!! Everything you need to know about futons! Futons as an everyday bed? Futon Bed Rolls.....roll up your futon and walk.. Roll Up Futon for Camper Van. Futons for Camping on Devons Beautiful Coast. Low Beds for Loft & Attic Rooms and Mezzanine Bedrooms. Links to Independent Futon Web Sites. 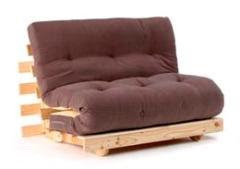 The Futon Shop Limited, big choice, quick delivery. Futon World for all the best in Futons! Futons Direct in Eynsham, near Oxford. 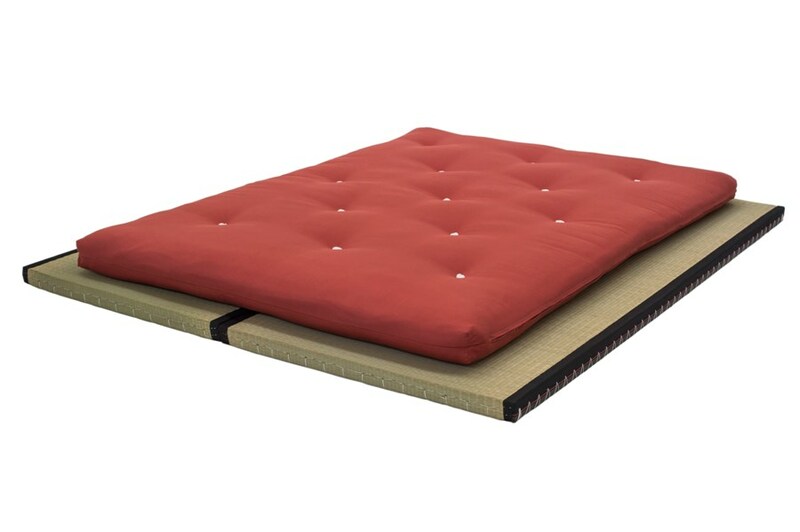 Unique Futons offer a choice of futon fillings. Principles of The Futon Blog members. 1) Maintain quality of products and manufacturing materials. 2) Not to retail unsuitable items. 3) Provide a quick, efficient and friendly service. 4) Offer clear advice to customers. 5) Offer the consumer an alternative choice to buying from the high-street big boys!